Where the motorway ends in Devon, leave your ideas of England behind. 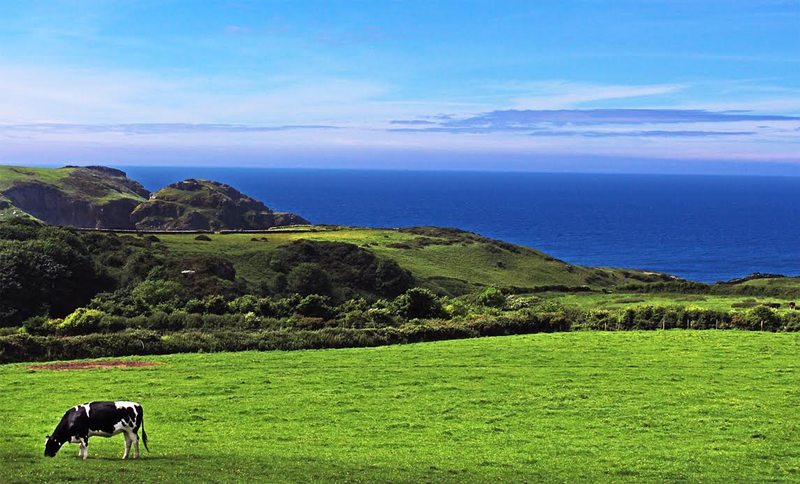 Beyond there you find a county with a proud identity, language and sense of independence. 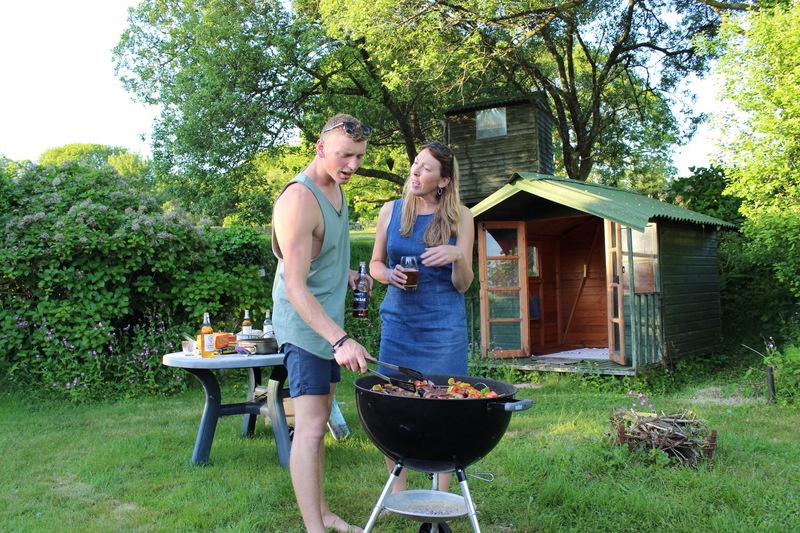 Mum and Ian had recently relocated to Bodmin moor, home of the mythical beast and were trying to change their status from ‘Emmet’ – the Cornish word for tourist, to local. For the seven weeks I had in the UK I was to be working at a dive school just across the Tamar river in Plymouth. 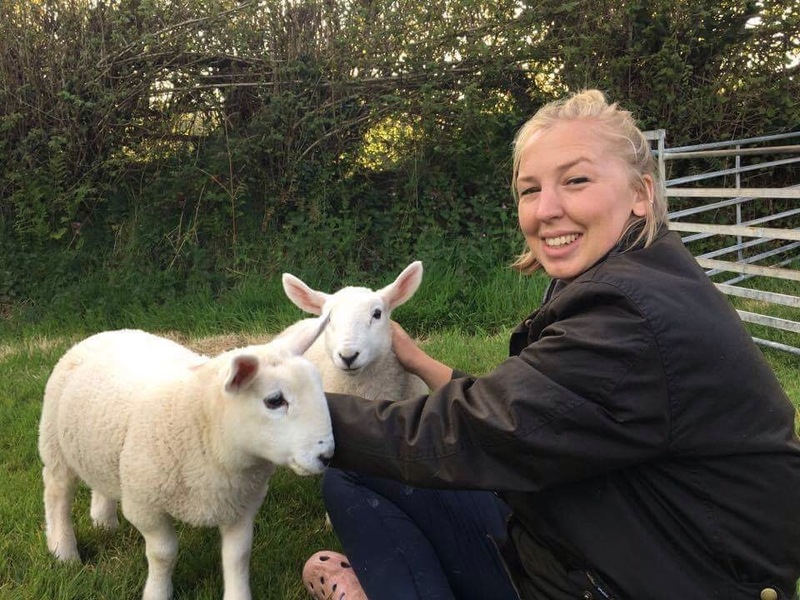 The rivalry was jovial, people convinced there was something in the water down in Cornwall making the people strange, Cornwallians joking they only ventured to Devon to take out the trash. 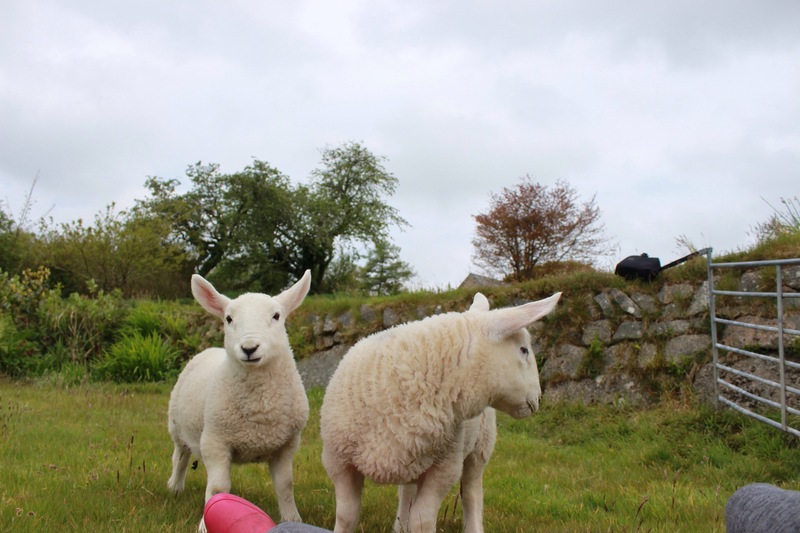 I got the delight of getting to know two lively lambs, Bob and Jim, who although growing rapidly were still being bottle fed morning and night. Jim is a bit of a petrol head, cant resist having a sniff of the lawnmower, or anything with a bit of bruumm. Bob is a softie but he has a manly exterior to maintain, but both come bounding over when they hear you approach. 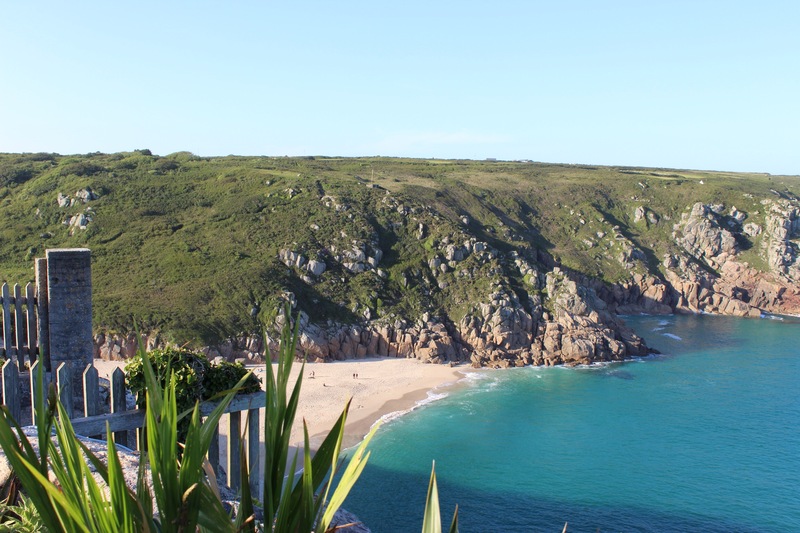 With so much to see in the south west, here’s some things that kept me busy exploring..
Cornwall is all about smugglers and small fishing villages. 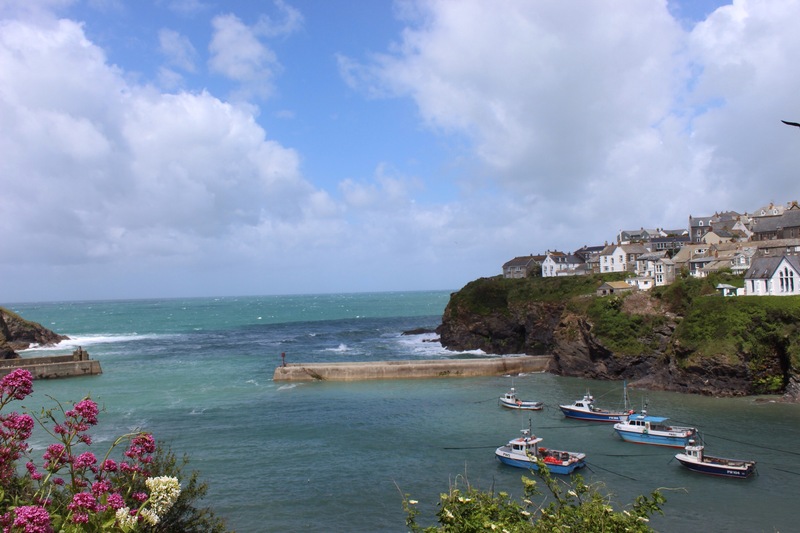 The picturesque towns of Fowey and Polruan sitting across the water from each other, and perfectly enable the image of tucked away coves hiding loot and passing pirate ships. Cornwall’s most visited attraction, the Eden Project is a series of domes growing plants and produce from different climates around the world. Come bundled up in layers to protect yourself from the spring showers, and step into South America. The guys at the Eden project are educating people about the planet and looking at renewable resources. There is a memorable piece of artwork on exhibition. An 8 foot machine with hundreds of cogs, levers and moving parts, to crank up and eventually crack a nut. The designer makes a statement on technology and progress by challenging us what we consider to be progression. 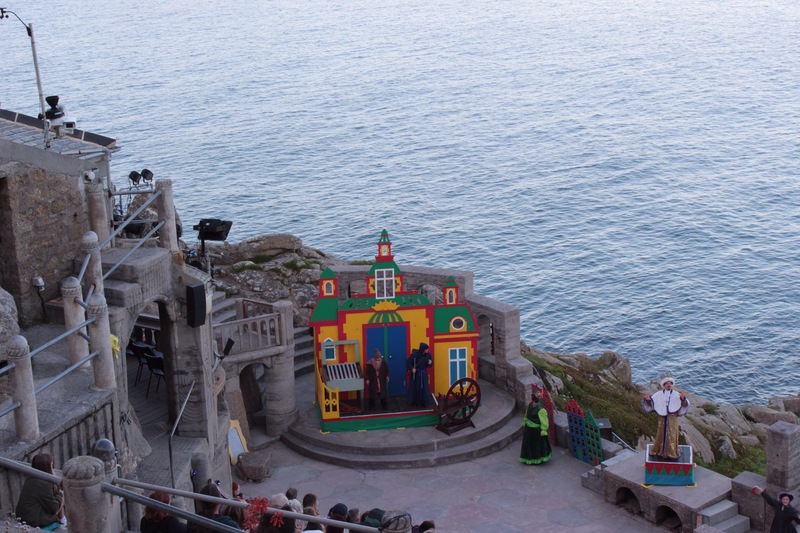 Carved into the cliffs close to Landsend is the Minack Theatre. Here steep auditorium seating looks out over a small stage and a golden sand bay. Just protected from the wind and weather, it was idyllic on a sunny evening to watch a play, performed with a cast of no more than 5 or 6. 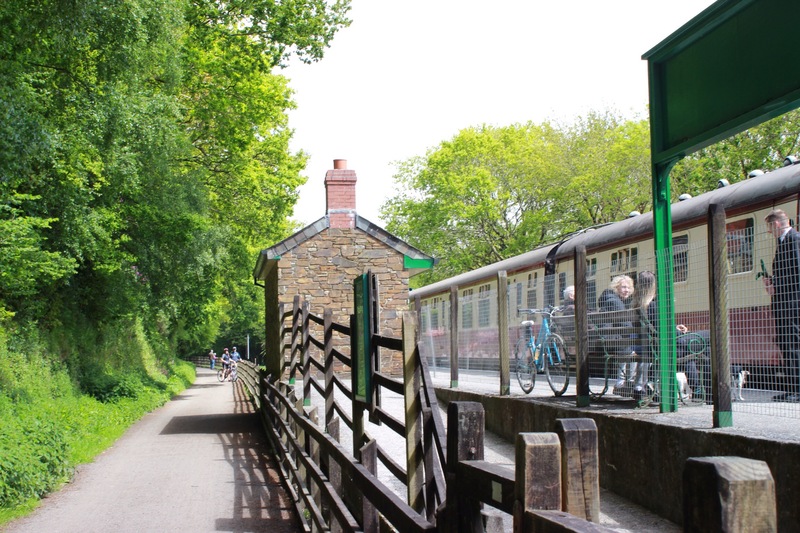 One of the more famous cycle trails is the Camel trail which follows the old railway line and connects up Padstow, Bodmin and Wadebridge. 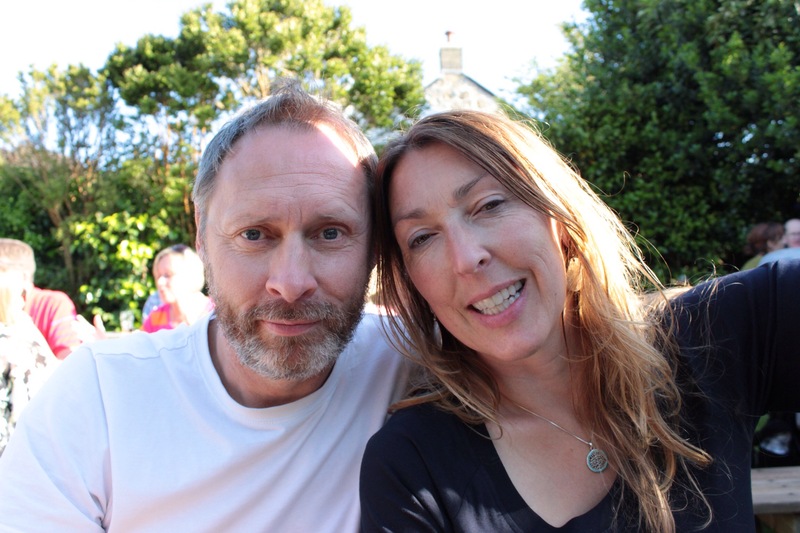 Starting in the waterfront town of Padstow, we followed the water around to Wadebridge, passing through shady coves the occasional sunny vista. Reaching the end of the 18mile route, we turned our bikes around and peddled back again just in time to see the heritage Bodmin- Wadebridge train chug along the lines, smiling passengers waving from the windows. 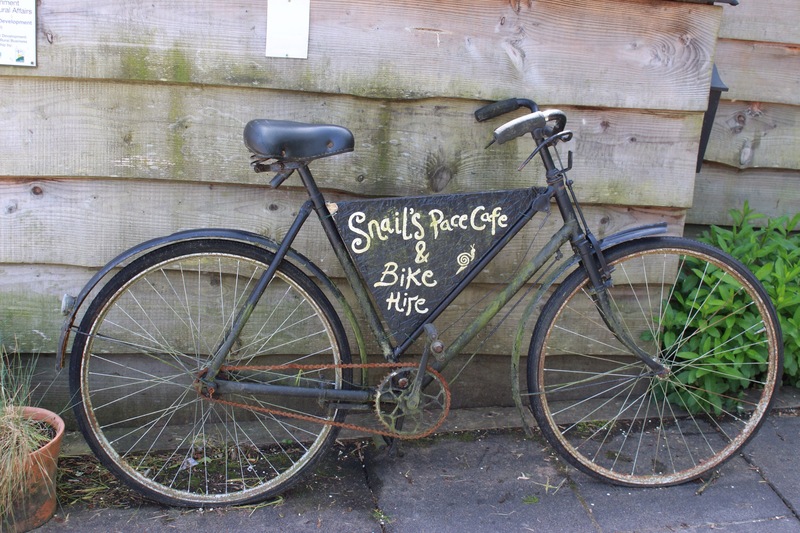 It’s nice to know other cyclists their coffee breaks seriously too, as quaint gardens and beautiful cafes serve treats at regular intervals. 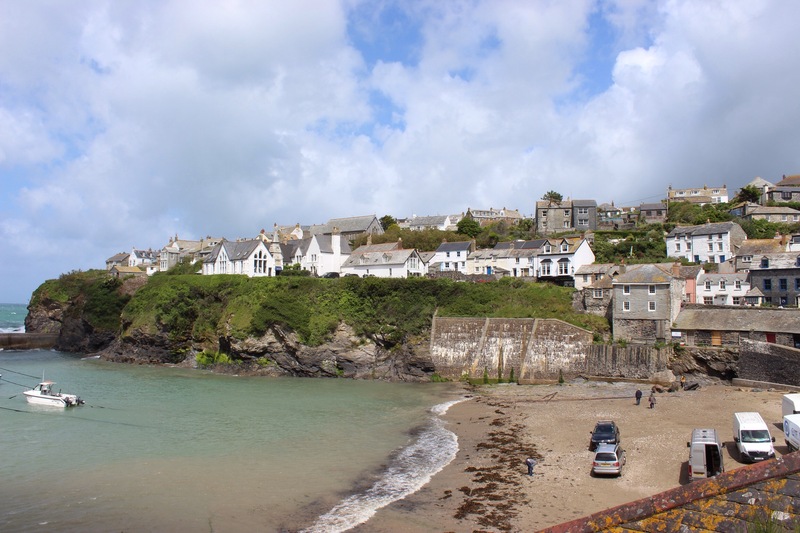 Port Isaac, or its stage name, Port Wenn, is the beautiful north coast town where the show Doc Martin is filmed. 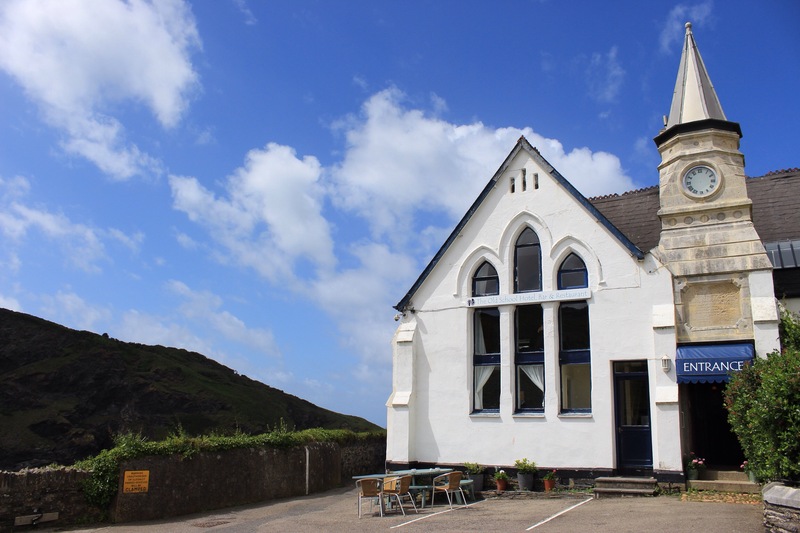 The winds blow strong on the north coast of Cornwall and the blustery fishing boat town has steep roads and a tonne of character. By chance on our visit they were filming the penultimate series of Doc Martin and Martin Clunes was filming several takes of his purposeful walk to the chemist. 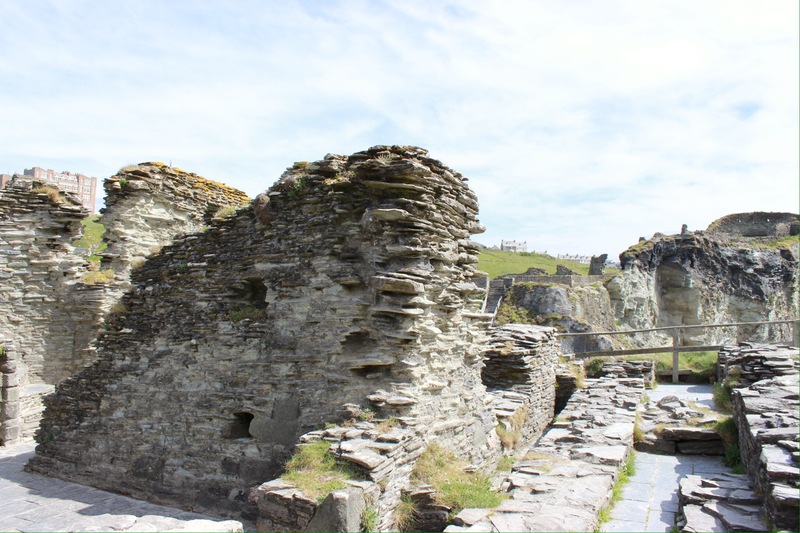 Another north coast town where blue sea meets rugged cliffs in Tintagel. 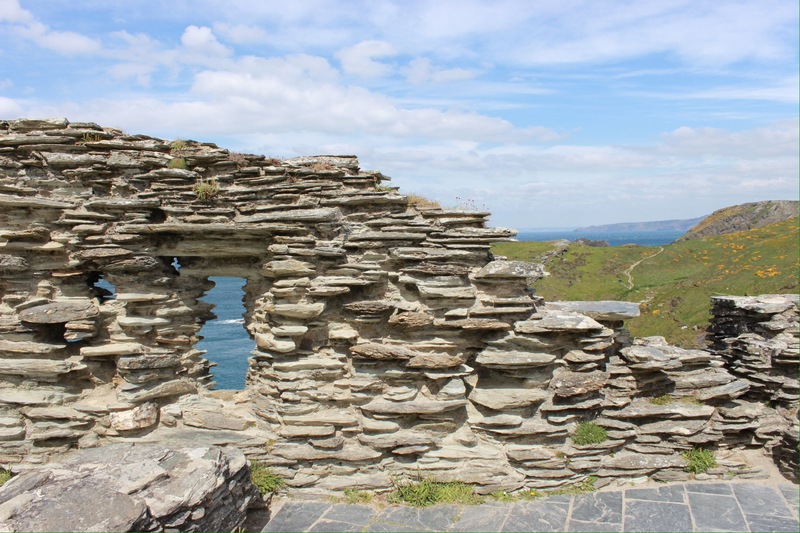 This one is shrouded with myths, said to be the birthplace of King Arthur. 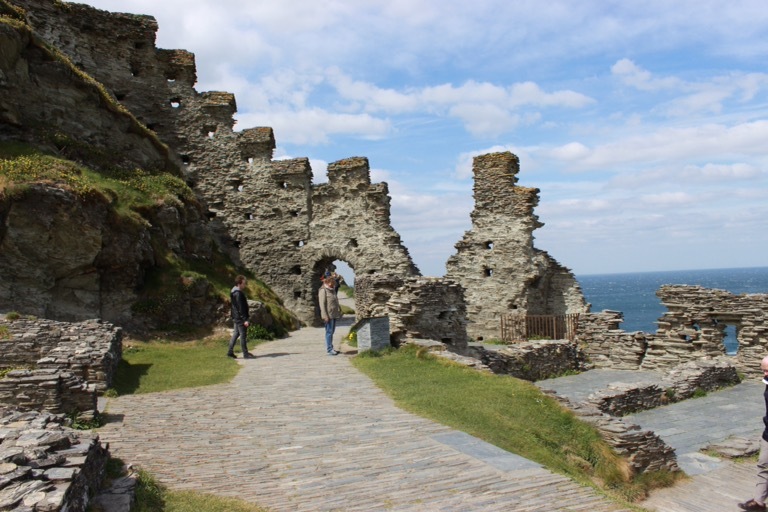 The remains of Richard I’s 13th century castle sit on the cliff side high on the exposed rock. Whereas once this was mainland, it is now connected by footbridge as the land has collapsed. 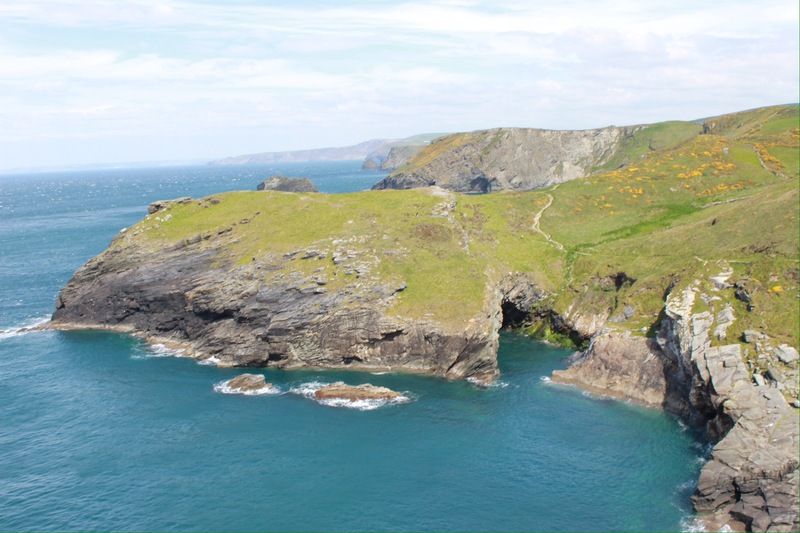 Windswept and wide eyed, we marvelled at the expanse of craggy coastline that kept revealing itself. 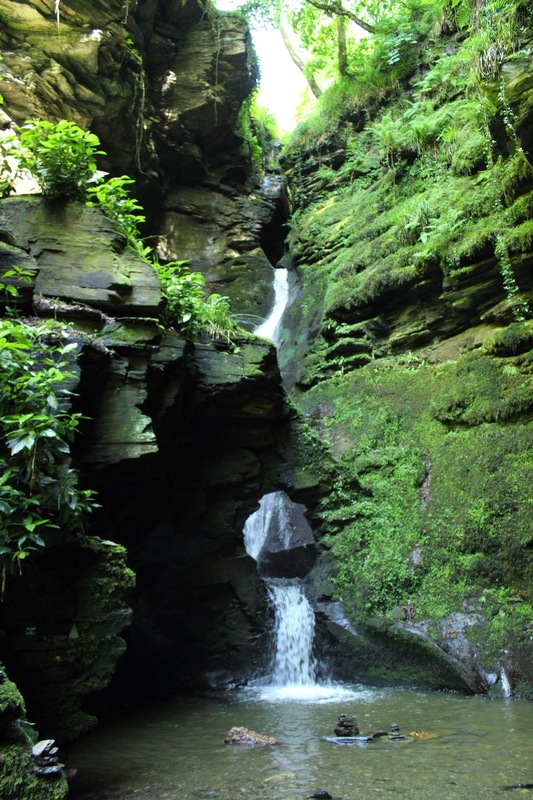 In the home of fairies and piskies, the imagination can run wild as St Nectans Glen where a waterfall tumbles through greenery in a hidden canyon. The small walk takes you through lush greenery and every surface is decorated to enhance the magic and superstition of this place. 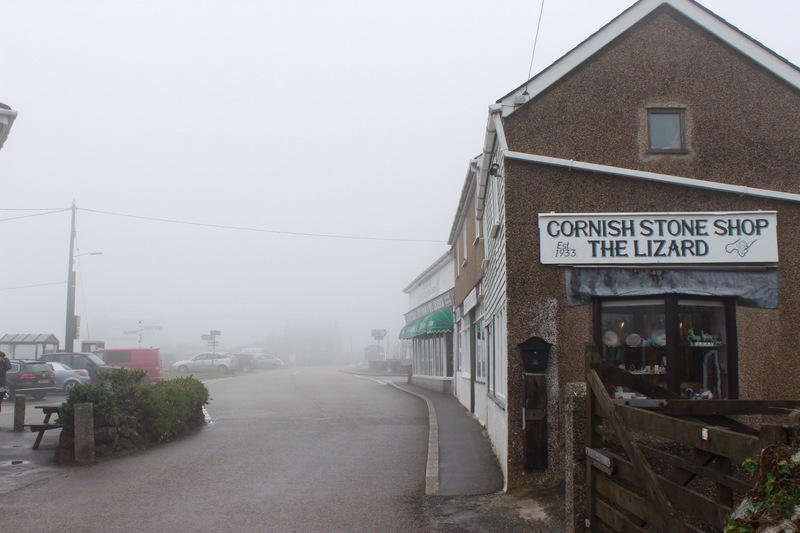 Cornwall has the southernmost tip of mainland Britain in Lizard. 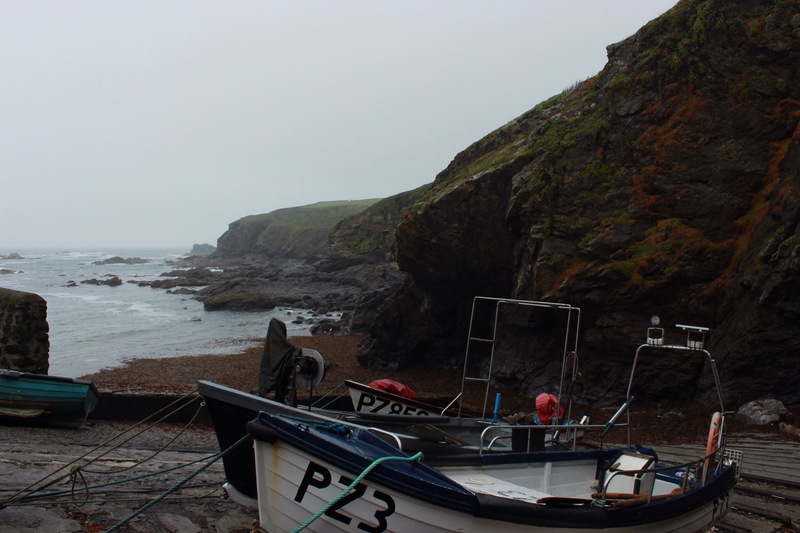 When we visited it was thick with ocean fog so the dramatic cliff side walk was best coupled with a warm pub and some Cornish cider. 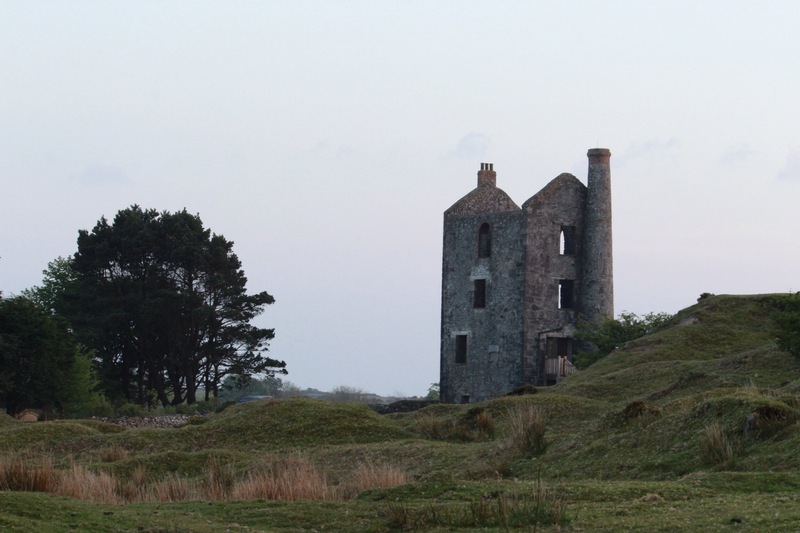 Once a tin mining area, much of the less pretty quarry sites are being reclaimed. Adrenaline Quarry is an old mine now filled with water and taken over once again by natural beauty. We left our screams echoing in the valley as we swung out over the pool on a giant swing, and ziplined from dizzying heights over the water. Next Which came first, the jam or the cream? Ahh happy days!! 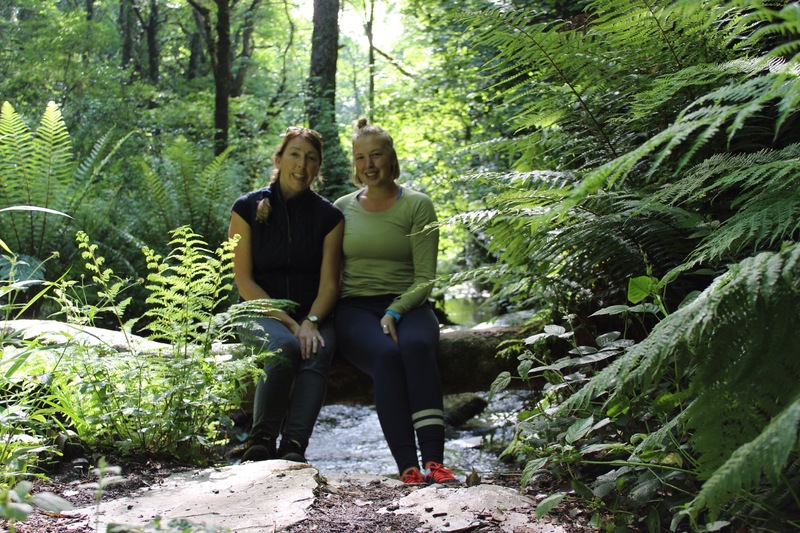 Loved having you here to explore beautiful Cornwall. Amazing to see so many sun filled photos. I was a mixed bag of weather while you were here! You’ve painted a fascinating portrait of this region, with it’s beauty and history. I loved the days we spent exploring together. 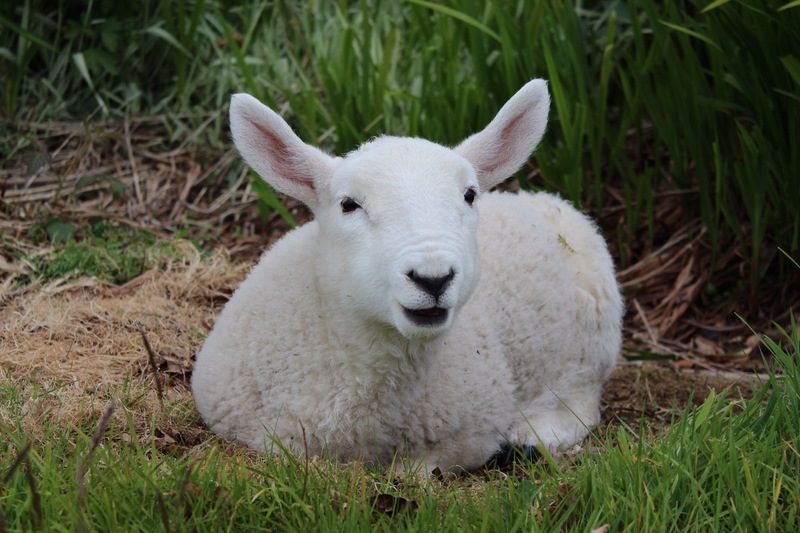 Bob and Jim are now almost fully grown but, still true to their individual natures. Jim kisses the lawnmower each time I cut the grass and Bob still runs and hides when I start the engine.